Like most areas in the Greater Toronto Area, Hamilton mortgage rates are better than average due to higher-than-average house prices, which attracts more competition. Below are the lowest rates from mortgage providers with offices in or near the city. For rates outside of Hamilton, see the best rates in Ontario. City in Brief: Situated on the western tip of Lake Ontario, Hamilton is the third largest city in Ontario. Known as the Steel Capital of Canada, as it produces 60% of the country’s steel. 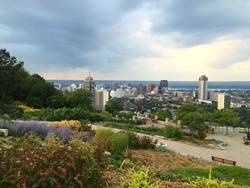 Among the city’s major features are Hamilton Harbour and the Niagara Escarpment, which runs through the heart of the city.